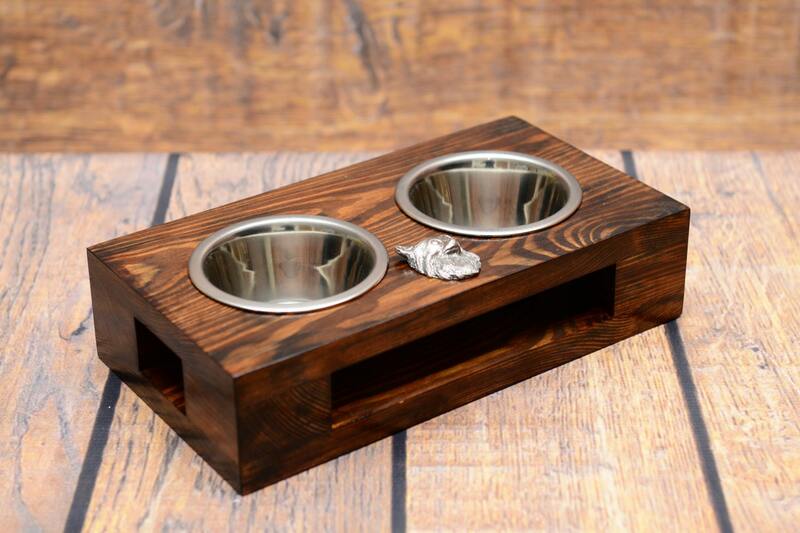 Metal bowls for a dog, placed in an original, wooden case. 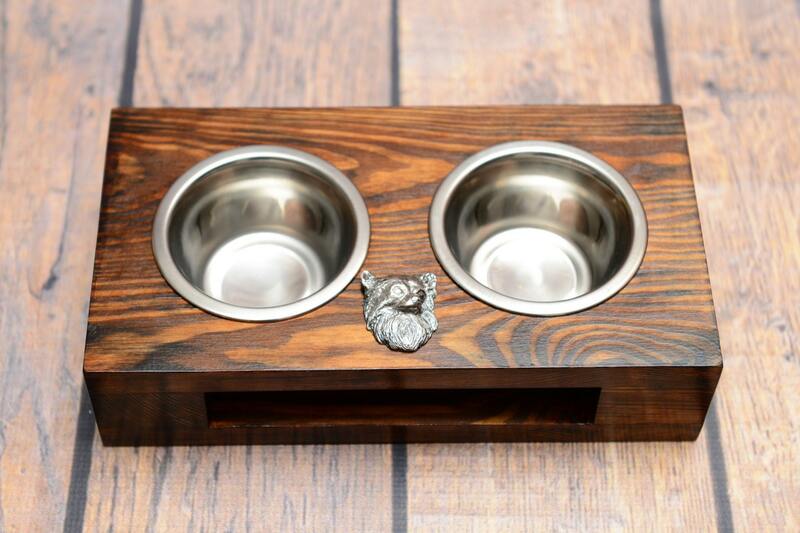 The steel relief of a purebred dog from the ARTDOG collection is placed on a handmade case. A comfortable, solid and useful set of two bowls for Your pet. 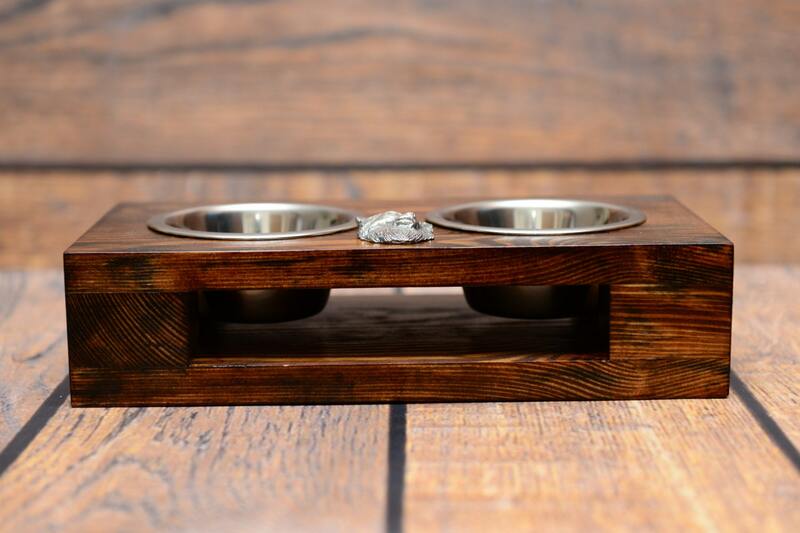 A stylish and modern product that will make Your dog happy.